Up until the Spring '12 release, if you wanted to categorize data within your reports, you had to create additional formula fields to do your classifications and then pull these new fields onto your report. 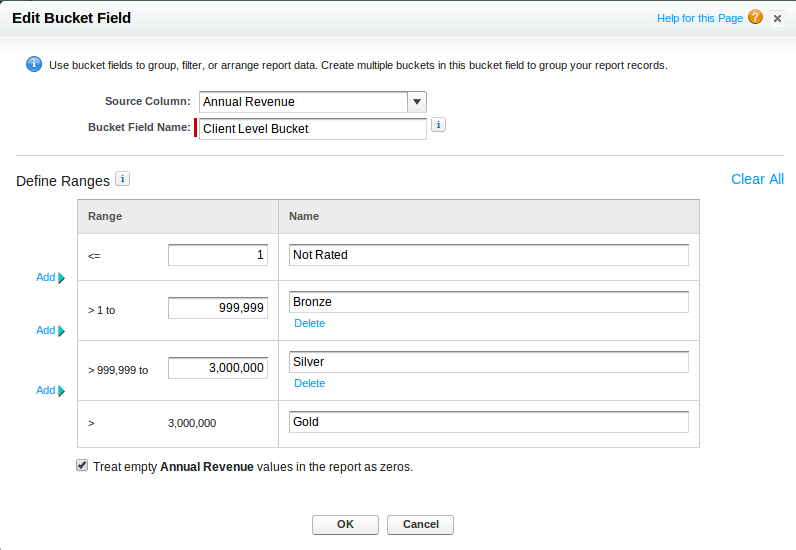 With the advent of reporting buckets, you can easily categorize records within your reports on the fly, directly from the report builder screens. 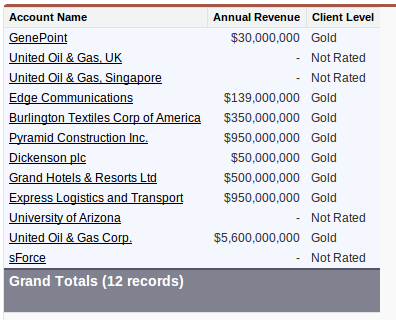 For this example, let's say you have a set of Account records, each having the standard currency field "Annual Revenue" populated. For reporting purposes, you want to categorize your Account records into three different tiers. While this works, you've just created a field for this very specific purpose. 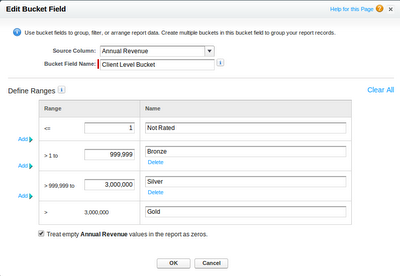 1) To create a new Bucket field, within a new/existing report, click on the "Add Bucket" link within the fields section. 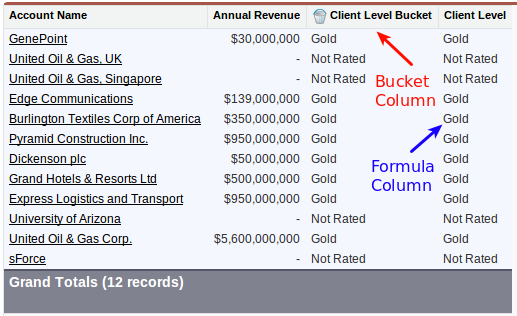 Unfortunately, the current bucketing offering lacks the ability to create and use filters. What if you had a client that has been with you from day one. Sounds like instant "Gold" level client criterion to me. It would be great to be able to include additional criteria, in this case something like "Initial Contract Date < 1/1/2005" = Gold, to the bucket calculations.